Who am I? Why am I alive? What is life all about? What happens after death? This attractively presented, compact gift edition of WHAT 'S THE POINT? Directs readers towards God 's answers to the deepest questions. 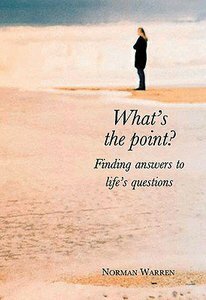 About "What's the Point (Gift Edition)"
Lion Pocketbooks explore spiritual and theological questions, and tackle life issues and problems practically. Who am I? Why am I alive? What is life all about? What happens after death? This book points the way towards Christian answers to the deepest questions.